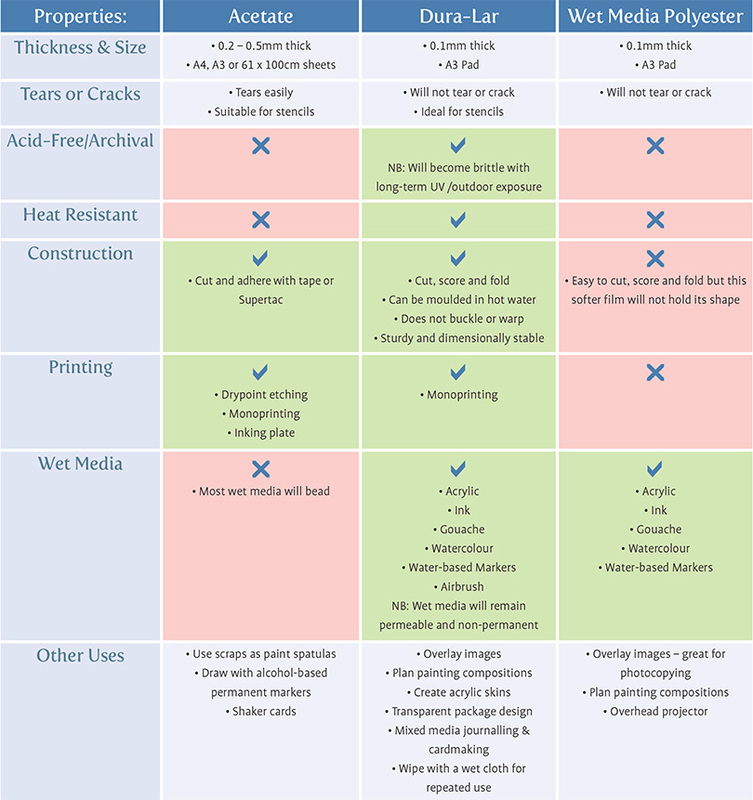 Clear plastic films are often generically labelled as Acetate, but not all plastics are the same and they have different purposes and advantages in the artroom. 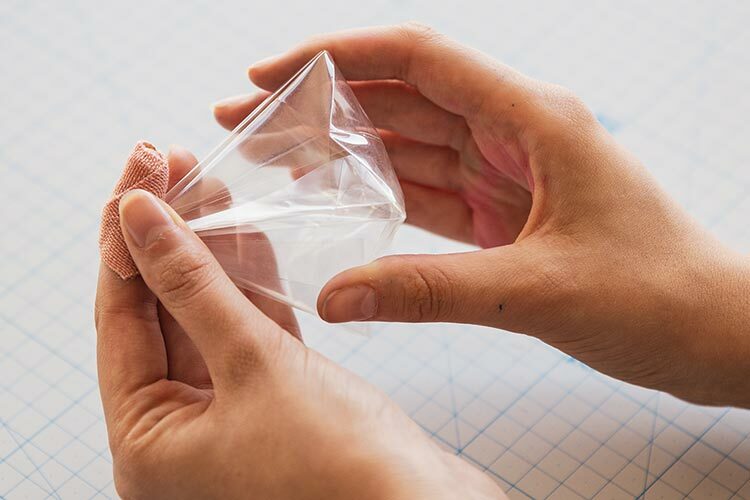 Here, we look at three clear plastics that are often confused with each other: Acetate, Dura-Lar and Wet Media Polyester Film. A clear general-purpose cellulose film made from cotton linters and wood pulp. Usually biodegradable and can be recycled. Drypoint Etching Plate: Squeeze the mixture over your surface, do not go to the absolute edge and leave gaps for other colours. This is a fluid process and as you add more paint it will move to the edge of the surface. Despite being level, some paint will always flow off the edge. 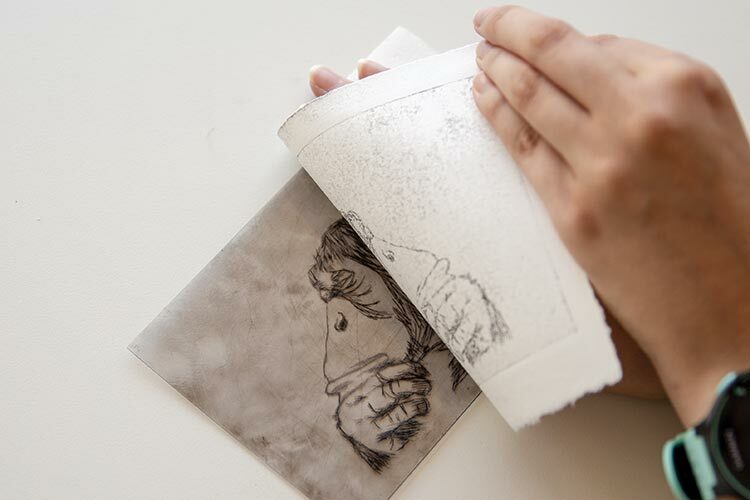 Monoprinting: Squeeze the mixture over your surface, do not go to the absolute edge and leave gaps for other colours. This is a fluid process and as you add more paint it will move to the edge of the surface. Despite being level, some paint will always flow off the edge. General purpose plastic for art & craft projects. This clear polyester film combines the features of Mylar and Acetate. 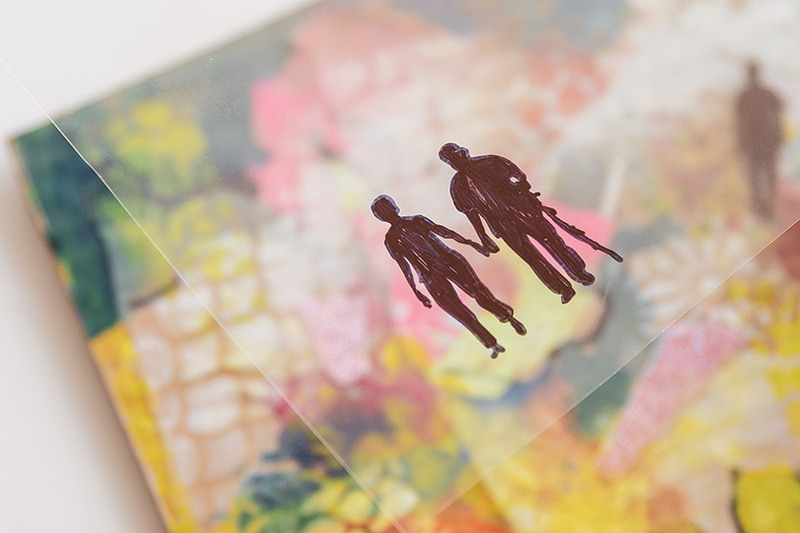 This film does not tear or crack, which makes it ideal for creating stencils. Specially treated on both sides, it is a great painting and drawing surface for water-based mediums, markers, inks and airbrushing – no beading, chipping or running! Film can be reused – simply wipe with a damp cloth. 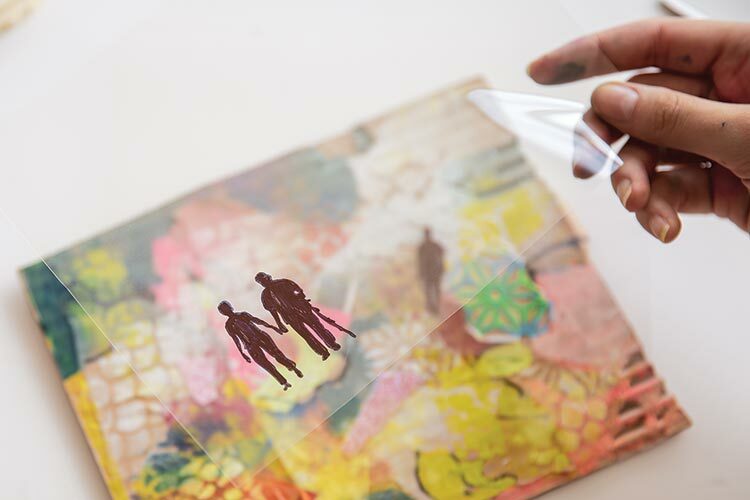 1: Clear transparency, ideal for planning painting or collage compositions in layers – simply hold the Dura-Lar drawing up against artwork to check object placement. 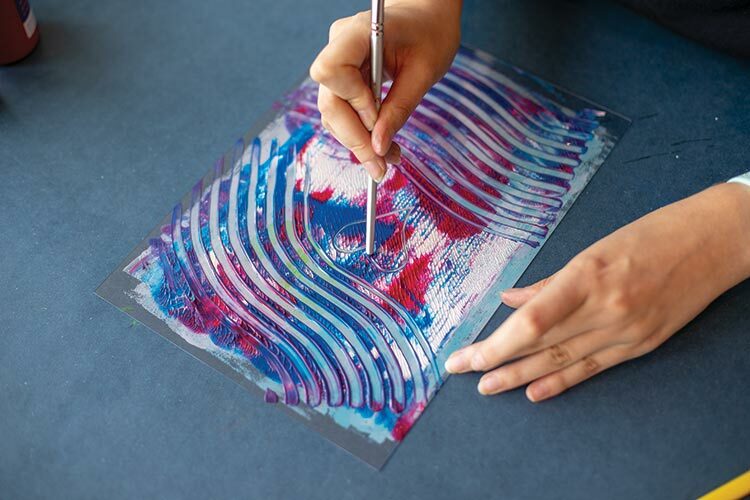 2: Create skins of acrylic paint mixed with Pouring Medium, which could be used for collage once dry. 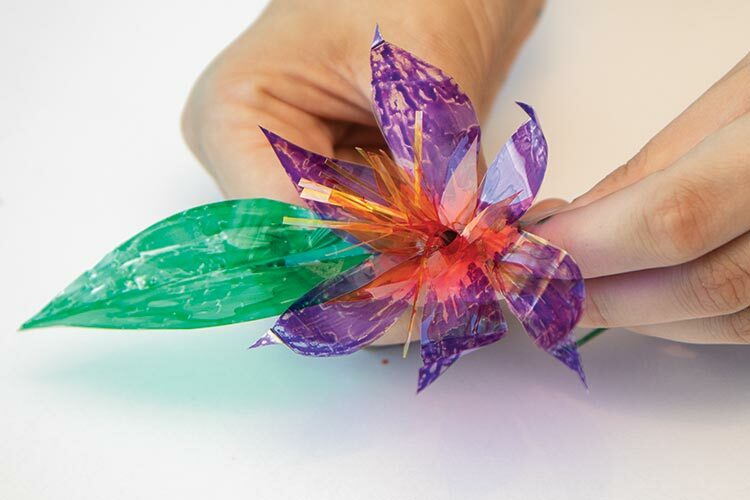 3: Great for construction, architectural models or abstract sculptures – simply cut, score and fold! 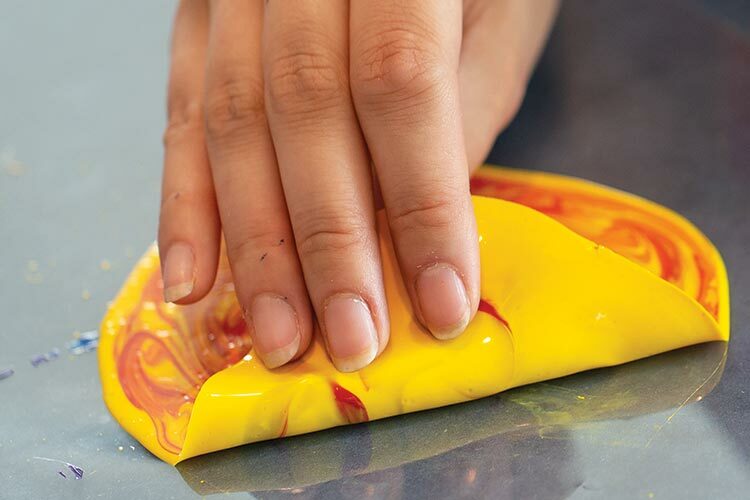 4: Can be moulded in hot water (steaming but not boiling – use gloves). Immediately hardens into moulded shape when removed from water. Colour with Yoken Markers once dry. 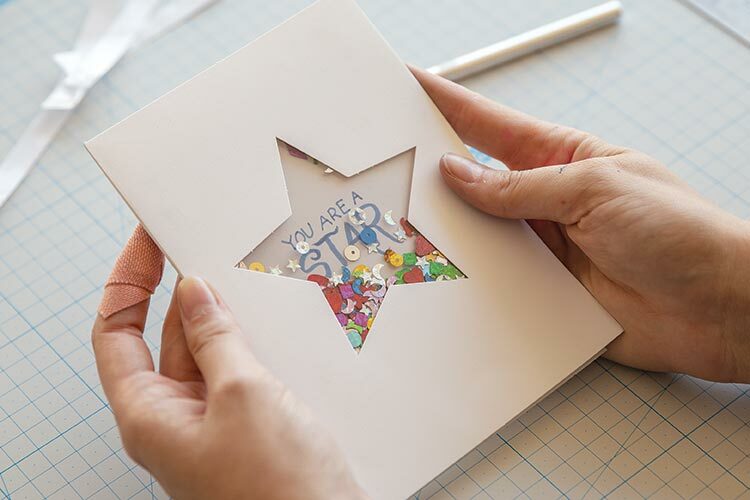 Clear polyester film that is specially treated on both sides to accept drawing and wet media such as gouache, ink and acrylic paint, as well as markers and fineliner pens – no bleeding or beading. 1. Use as an overlay for drawing and designs. Write annotations on the overlay. Great for VCD students. 2. Ideal for planning painting or collage compositions in layers. 3. Draw a variety of outfits and layer them up over a figure drawing or fashion croqui. These layers can be photocopied together in a mix-and-match fashion. This minimises the need to re-draw the figure repeatedly.